After adding the cloud gaming demo of Battlefield 3 to their Facebook beta page, cloud gaming demo service Gaikai has added the Battlefield 3 demo to their cloud gaming network. With Battlefield 3 Gaikai's got another blockbuster game demo after quite some time, so it looks like EA is still supporting them though they were acquired by Sony. OnLive can only dream of getting games like Battlefield 3 from EA, though they are partnered EA hasn't yet released any games on OnLive. Battlefield 3 is a first-person shooter game published by EA and developed by EA Digital Illusions CE (DICE). 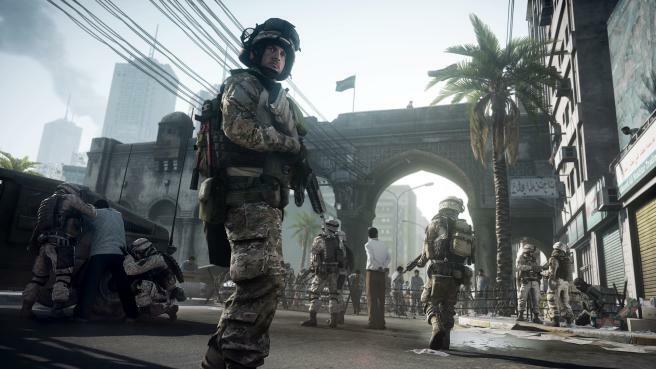 You can play the free demo of Battlefield 3 powered by Gaikai.